Since 2008 we’ve experienced one of the longest and strongest bull markets ever. But increased volatility and large market swings have returned, spooking investors and spurring talk of an imminent recession. Don’t panic! Instead, use it to your advantage. Market cycles are a normal part of the process. They can even be beneficial if you use the right strategy. Here’s a tip: Attempting to time stock market drops isn’t the answer! Impending Recession? Look at the Cycles! At one point in October, the Standard & Poor’s 500 declined more than 10 percent, officially entering “correction” territory, before recouping some of its losses. Predicting short- or even intermediate-term trends in the market is a dangerous and (more-likely-than-not) losing endeavor because it is impossible to know precisely when to buy or sell. However, that doesn’t mean there’s nothing you can do to protect your investments. 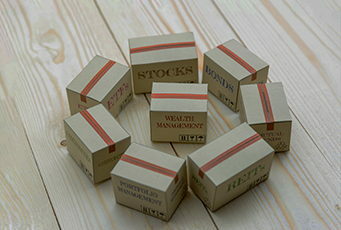 Maintaining a balanced portfolio of stocks and bonds is the best way to achieve long-term success. But the cyclical nature of markets means long-term trends will sometimes reverse and favor types of investments that have not been recently rewarded. As the market cycles through, be on the lookout for new opportunities. There are two primary trends to watch for over the next five to ten years. These two trends - U.S. versus international equities and growth versus value stocks - have persisted through this market cycle and may be close to a turning point. This could create opportunities for long-term investors with diversified investments. The first trend to monitor is the nearly 20-year outperformance of U.S. stocks over their international counterparts. Since the late 1990s, the relative outperformance of U.S. markets has caused many investors to question the benefits of international diversification. Over the past 50 years, the long-term cyclical trend determined which category of stock performed better - U.S. or international. For example, the 1970s were a period of strong U.S. outperformance, but that period was followed by a decade in the 1980s where international stock returns dwarfed domestic returns. So where are we now? The current cycle of U.S. stock market dominance has been the longest on record, reaching the highest magnitude ever. In response, some investors have excluded international stocks in their portfolios altogether. However, it is important to remember that long-term trends are cyclical. To counterbalance cyclical effects, maintain an allocation of international stocks, even in times when it is difficult to see their value. The second long-term trend worth keeping an eye on is the relative performance of “growth” and “value” investments. Both are common investment philosophies that seek to earn positive returns by investing in promising companies. But as the market cycles, there are extended periods of time where one philosophy does better than the other. Growth investments are investments that have the potential for future above-average earnings growth. Investors aren’t necessarily concerned about the price they pay for the stock today. It is the potential future growth that interests them. On the other hand, value investors focus on finding stocks that are currently trading below their fair value. Proponents of value investments hope the market will eventually realize this price disparity, causing the stock price to increase. Just like the geographic trends discussed earlier, investment philosophies also cycle. The “Dotcom Bubble” of the late 1990s was driven by the outperformance of technology-related growth stocks. After the bubble burst, there was nearly a decade where value investments like financial stocks dominated. However, since the Financial Recession in 2008, growth stocks have been the dominant force in the market, led by large technology “FAANG” stocks (Facebook, Amazon, Apple, Netflix, and Alphabet - i.e., Google). With FAANG’s help, growth stocks are approaching the magnitude of outperformance we saw in the late 2000s, but it has lasted for an even longer period. Oftentimes, investors get caught up in the exuberance of the market. They ignore cyclical trends and chase “hot hand” investments that are popular right now. While these investments may perform well in the short-term, following this strategy exposes your portfolio to risk. When the latest trend abruptly or unexpectedly changes direction, your portfolio will be out-of-balance. Taking these trends into account, ensuring that your portfolio contains both types of investments, and rebalancing it regularly will help protect your portfolio against declines in the market.